I am a senior computer science major studying at the University of Texas at Austin. In my spare time I practice and teach Taekwon-Do. I enjoy hiking and have visited many national parks with my family. 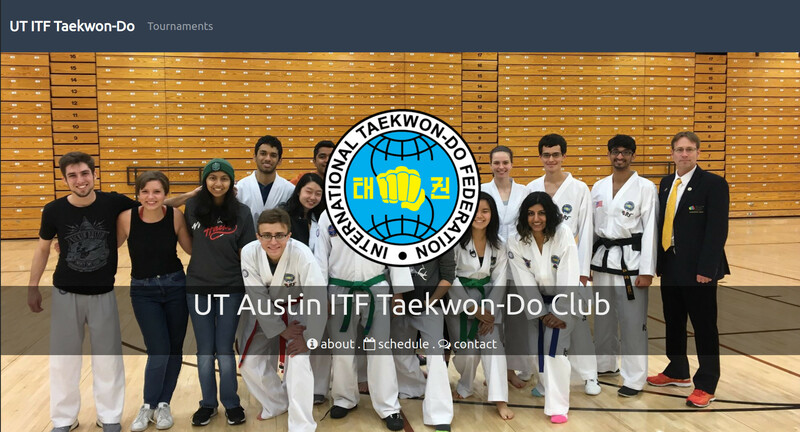 UT ITF TKD Site is a website for the ITF Taekwon-Do Club at the University of Texas at Austin. The site provides information about the club for prospective members. Additionally, the site provides the form to register for the club's annual tournament in February. 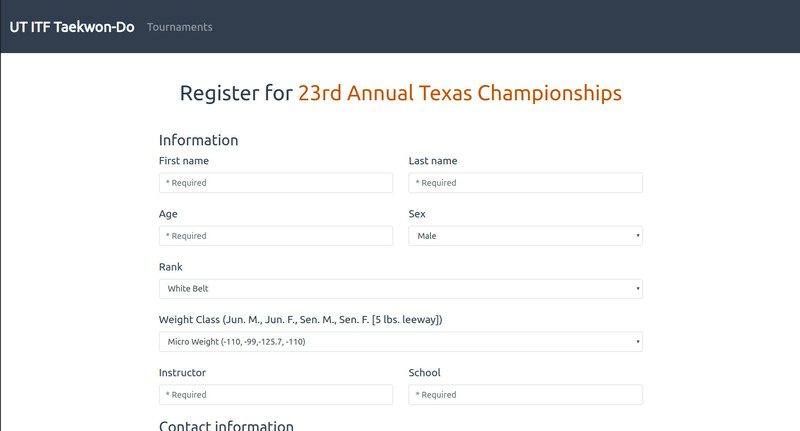 Club representatives can manage who has paid the entry fees for the tournament and can check in attendees on the day of the tournament through the site. Timers of Nirn is an addon/site for the MMO the Elder Scrolls Online. 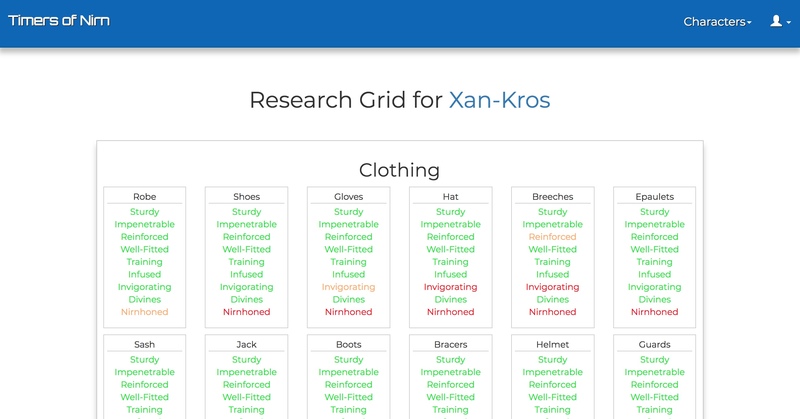 It allows users to keep track of the various timers (horse feed, daily LFG random, etc…) outside of the game. With the addon and client running, timers from user's characters are automatically pushed to the site. 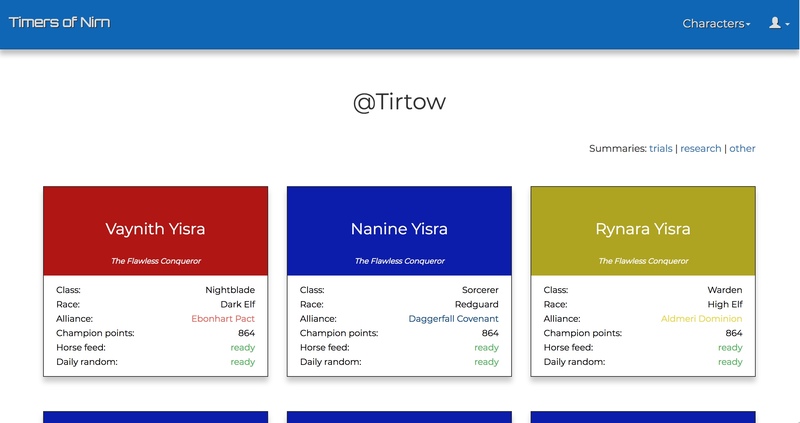 Users can then view information on their characters and how long they have until various cooldowns are up. ally-bot is a Discord bot for a guild in the Elder Scrolls Online. It manages trial signups for the guild by allowing the creation of trial signups and allowing users to signup for the various roles. 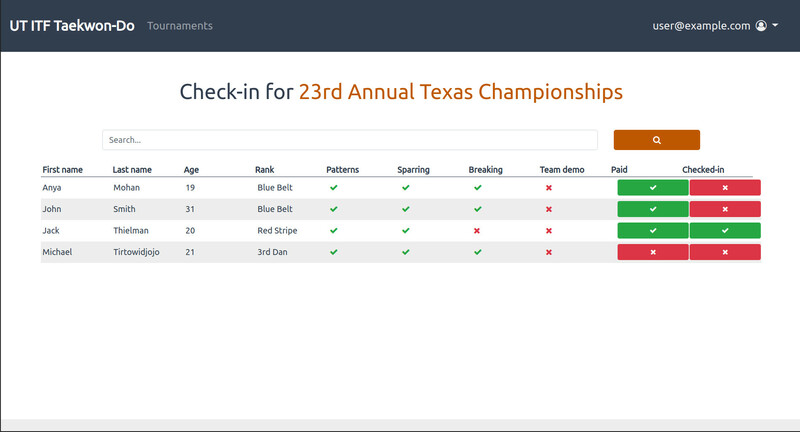 It handles automatically opening, closing, and rescheduling of signups. math-bot is a Discord bot designed to provide player information for the game The Division 2. 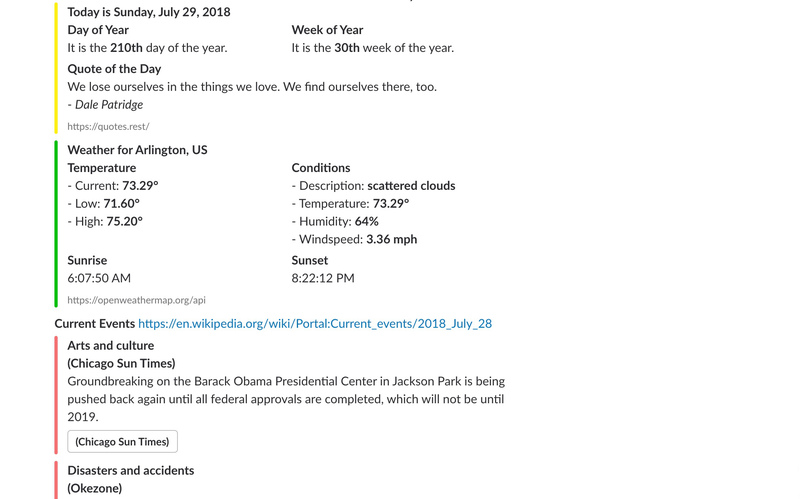 Good Morning Slack is a Python script that scrapes information such as weather and current events from various web sources, formats the information, and sends it as message to the given Slack channel.